To ask other readers questions about The Inn at Rose Harbor, please sign up. What would you say is the right age to read this series? I didn't realize that this was part of the Rose Harbor series and just started on the Love Letters which I believe is the third in this series. If I read Love Letters first am I going to be completely lost if I go back and read the first one in the series? Sometimes I want something light to read. This was a perfect read for one of those times. This is light and predictable and I really enjoyed it. I liked all the characters and felt like I really got to know them. I look forward to the next in this series. Thanks to my GR friend DeAnn for recommending this one. No voy a decir que esté mal escrito. Pero no lo veo para nada una novela romántica. No sé si sentimental o narrativa dramática. Three and a half stars. This makes no apologies for what it is - a gentle story about love, loss and ability to move on or not after a tragedy. Sometimes as a reader I am not in the mood for anything heavy and challenging. I just want a book that will take me out of the world for a while. This one did, into the world of Cedar Cove and of Jo Marie who after the death of her husband starts a new life as owner of a bed and breakfast. Josh and Abby, her first two guests, have problems of their own a Three and a half stars. This makes no apologies for what it is - a gentle story about love, loss and ability to move on or not after a tragedy. Sometimes as a reader I am not in the mood for anything heavy and challenging. I just want a book that will take me out of the world for a while. This one did, into the world of Cedar Cove and of Jo Marie who after the death of her husband starts a new life as owner of a bed and breakfast. Josh and Abby, her first two guests, have problems of their own and neither of them really want to be in Cedar Cove, due to past experiences that have shaped and altered their lives, yet family circumstances and responsibilities have forced them their hand causing them to be there. Yes, some of it can be a little too pat at times. It’s not what I might always choose to read but at the time a light read like this was just what I need and I enjoyed it. This review has been hidden because it contains spoilers. To view it, click here. I LOVED IT - I cried when Rover chose Jo Marie; when Abby saw her friends again - throughout the book I was inspired by life and reminded how important family and friends are in our lives and how not to let anything take that away from us. If you are a Debbie Macomber fan -- you'll love this story; although it is a spin off from Cedar Cove it reads more like the Blossom Street series -- can I say that Debbie's writing and her story telling just keeps getting better and better -- it was such a fa I LOVED IT - I cried when Rover chose Jo Marie; when Abby saw her friends again - throughout the book I was inspired by life and reminded how important family and friends are in our lives and how not to let anything take that away from us. If you are a Debbie Macomber fan -- you'll love this story; although it is a spin off from Cedar Cove it reads more like the Blossom Street series -- can I say that Debbie's writing and her story telling just keeps getting better and better -- it was such a fast read, written seamlessly that I moved quickly from page to page. If you are not a Debbie Macomber fan you must give her a try -- if you like small town stories like Robyn Carr, Susan Mallery, Jan Karon, Sherryl Woods - this is a book you must try! There is one thing I did not like about the story . . . .it ended, however, it ended with the promise of another wonderful story -- I can't wait!! Do you think Mary Smith is really the next guests name? Or is she hiding something . . . . Writing a story combining three different plots is a challenge. I thought The Inn at Rose Harbor fell into the usual trap of this kind of plot: there is great potential, too much to tell and not enough space for it all; therefore we get a superficial at best narrative. Some people might like this kind of book, but it's not my kind of fiction. However, I should point out that it's well written and all three stories offer a superficial character development and a fair emotional setting. I was so excited to see a new series by Macomber; she is one of my favorite authors. This first book in her new series was a breath of fresh air during this hot humid summer. The series is set in Cedar Cove but the characters are new. Jo Marie Rose has moved there upon the death of her husband after purchasing a Bed & Breakfast. Story lines were developed around two guests that checked into the B&B. They were heartwarming stories of families and relationships. I especially liked that the I was so excited to see a new series by Macomber; she is one of my favorite authors. This first book in her new series was a breath of fresh air during this hot humid summer. Well, gosh. Maybe I've outgrown Macomber. Or maybe I just glutted myself too much in past years and now am at that familiarity brings...not contempt, exactly, but the heart just no longer thrills. This has happened to me with other authors after a bit of directed literary gluttony; I love them, I gobble all the books I can find, and then, finally, it's "oh no, not another bite of delicious crumbly cookies with a latte on the side". For Macomber's fans, this is the standard territory, and obviousl Well, gosh. Maybe I've outgrown Macomber. Or maybe I just glutted myself too much in past years and now am at that familiarity brings...not contempt, exactly, but the heart just no longer thrills. This has happened to me with other authors after a bit of directed literary gluttony; I love them, I gobble all the books I can find, and then, finally, it's "oh no, not another bite of delicious crumbly cookies with a latte on the side". For Macomber's fans, this is the standard territory, and obviously the first in a new series. And I did read the whole thing, which intertwines three stories of loss and resolution, sprinkled with death bed reconciliation, voices from beyond the grave, kind neighbors, hot repair dude, fluffy doggie, and lots of coffee, tea, and yummies. (plus, of course, a knitting pattern at the back). But I'm getting grumpy. It's like when you notice that your shining own true love snores, or chews loudly. The bloom is off the literary obsession here. So I find myself wondering who exactly cleans the rooms at the cute B&B, and how finances are managed, and other niggling, petty, distracting, daily prosaic stuff. This was actually a buddy read with a friend of mine. We both adored the Cedar Cove books and we have been less than thrilled with the newest offerings by Macomber. When she found out the Rose Harbor books take place in Cedar Cove we were pretty excited. Though I was cautious enough to borrow this thing from the library because I have been burned too many times lately by reading her latest works. "I don't understand why Macomber revisited Cedar Cove if she This was actually a buddy read with a friend of mine. We both adored the Cedar Cove books and we have been less than thrilled with the newest offerings by Macomber. When she found out the Rose Harbor books take place in Cedar Cove we were pretty excited. Though I was cautious enough to borrow this thing from the library because I have been burned too many times lately by reading her latest works. "I don't understand why Macomber revisited Cedar Cove if she was going to take all of the charm out of the book. I loved this series until the last couple of books since it started to read like a recipe after a while. You take one man, one woman, have them either fall in love, or have marriage relationship problems, have another couple included to set up next book in series, have reappearances by favorites in the series, have people go and have food at the Pancake House, and then the end. I love romance books and I have all of the Cedar Cove books in paperback. I was not as disappointed as you were with the end of the series, but did feel letdown a little bit. I was so happy to run out and buy this one, I wish I had just gotten it from the library or something. I think this book was setup so oddly. I didn't realize until we spoke about it, but the first person and switch to two other characters in the third person was what kept messing me up while reading. Also I felt like Jo Marie was barely in this story, though it should have been her story. A widowed woman moving to Cedar Cove and having to start over again was enough for me to read about. I don't get why she divided this book into three separate stories, though like you said, she always had multiple plots going on in the Cedar Cove books. Oh and just like you I really hated Josh's storyline. And the whole ghosts or people from beyond influencing things just didn't work. I started to get really annoyed even when we saw people we loved like Olivia and Grace. I think I will read book #2, but if that one is set-up like this, going to skip the rest of the series." I should just say see above, because most of my friend's points were mine as well. Cedar Cove was dumped unceremoniously by Macomber. It was not until someone commented on my review on Amazon for the last book that I even found out that there would be no more books. I was bummed out and really disappointed by it since the book did not really hang together well. Revisiting Cedar Cove seemed like a good idea to me since I have not been enamored with Macomber's stand alones or other series books. And even ones that have improved like Blossom Street series, often have a couple of misses. This book looks at three people who come to Cedar Cove for different reasons. Jo Marie, Josh, and Abby. Except for Jo Marie, Josh and Abby both used to live in Cedar Cove and then moved away due to different circumstances. Jo Marie relocates from Seattle after the death of her husband in the military. Jo Marie quits her job at a bank to run a B & B. You don't really get a good idea of why Jo Marie does this besides needing to move on. You only get tidbits here and there that Jo Marie even knows and likes to bake and cook. I think I was confused throughout regarding Jo Marie's understanding of how to run her business since one character visits Jo Marie (Peggy Beldon from Cedar Cove, 44 Cranberry Point) and mentions things she should be doing like getting a food handling license. That seemed pretty important to me and I had to wonder then how the heck Jo Marie was allowed to cook for her guest if she did not have a license to do so. Josh is called home to take care of his dying stepfather by his former neighbor and classmate Michelle. Josh does construction and tends to move all over, but his base is in California. We find out Josh has not been back in Cedar Cove since the accidental death of his stepbrother. He and his stepfather have a lot of animosity between them and I felt for Josh through this whole book. I thought he really got the short end of the stick through this book because Josh was dealing with being verbally abused and thrown out of his home and not allowed to take a thing with him when he was a teenager after his mom died. Michelle and her pointless platitudes started to work on my nerves. Forgiving someone is one thing, but Michelle seemed to want Josh to get over everything his stepfather did. And the whitewashing of the character after the fact was meh inducing to me. Abby has not been home since a tragedy occurred when she was in college. It takes forever to even find out what is going on with Abby or what happened. I liked this character the best while reading. Though I will say again that Macomber rushing the ending with her and having once again an implausible forgiveness moment just didn't work. The secondary characters development was hit or miss. I didn't care for Michelle at all. And her hero worship of Josh or her need to try to have him forgive his stepfather was just aggravating. She is a social worker so I would assume the character had seen a lot of issues here and there. But having her as love interest and sounding board to Josh didn't work. I mean there was one point where Josh's stepfather demand she choose who she is going to be friends with him or Josh. Abby's family was done very well and I would have enjoyed more of the story if we stayed with them. Jo Marie felt like a blank slate. We hear about her family and friends in an abstract way. Most of the book was talking about her dead husband and her bristling (her words) anytime she comes into contact with a handyman she hires to do work at the inn. Through Jo Marie we are reintroduced into old characters such as Olivia and Grace. But they all felt so empty in this series. Getting such a shallow look at them bugged me. The writing did not work and that was because we went from first person to third person to third person. I don't get why Macomber did this and it was jarring to read each and every time. If you are going to have the book set up with three people than have them all tell the story in the same tense. The flow did not work, but honestly I think that's because Macomber was reaching for things to talk about in this one. If she had stayed focused on one story it probably would have worked better. The setting of Cedar Cove feels different in this one. Macomber gets pretty repetitive describing the town layout, the cove, the Navy that is nearby, etc. I always had the feeling it was much bigger. But reading it in this different light it feels teeny tiny to me. #RitaMacomber #RetoRita2 Este libro, me mató y remató y eso que lo dejé plantado en el 40% lo peor es que me dejó sin ganas de leer, NADA de NADA. 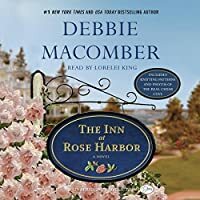 I am a great Debbie Macomber fan, and I knew that I would love "The Inn at Rose Harbor"--I just didn't know how much I would love it! I was immediately and deeply affected by the character of Jo Marie Rose, and the terrible loss of her husband so soon after her marriage. Adding extra poignancy to the story was the tragic real-life death of a young, newly-married soldier in my home community. He was also killed while on active duty. 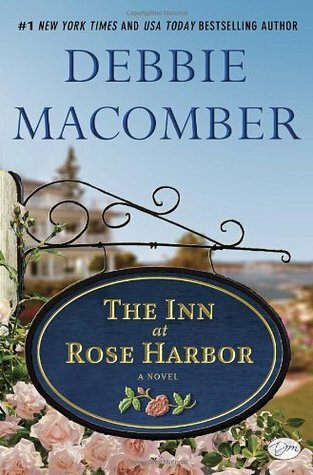 I had just seen his picture, and then the follow-up story on his I am a great Debbie Macomber fan, and I knew that I would love "The Inn at Rose Harbor"--I just didn't know how much I would love it! I was immediately and deeply affected by the character of Jo Marie Rose, and the terrible loss of her husband so soon after her marriage. Adding extra poignancy to the story was the tragic real-life death of a young, newly-married soldier in my home community. He was also killed while on active duty. I had just seen his picture, and then the follow-up story on his memorial service. I cried for the immeasurable loss of this handsome, well-loved young man. Debbie captured the feeling perfectly in "The Inn at Rose Harbor". Jo Marie's grief, her struggle to accept the loss of her husband and cope with the unexpectedly large bequest of his life insurance policy all combine to set the framework for the series. Jo Marie's courage in going forward and making the life-changing decision to become a business owner is inspiring. Instead of turning inward to become lost in her pain, she chooses a business which will necessitate daily positive contact with others. I must say that as much as I have enjoyed Debbie's previous works, there is an added depth and spirit to this book. Debbie is amazing, and just keeps getting better! In this book, she takes a look back, but she definitely moves forward with new characters and story lines that will keep us happily read. I have long thought of owning my own B&B, only mine would be nestled in the beautiful setting of my own little vineyard. However, I would love to visit Jo Marie Rose, and stay a while at "The Inn at Rose Harbor". The hostess, the setting, and the guests are most inviting and intriguing. I look forward to return visits. The book deals with loss and grief, with acceptance, with moving forward. Ms. Macomber lost her son not too long ago, and one of my best and oldest friends lost her son over the summer. So this tied in with Abby's storyline of trying to move past the guilt of being behind the wheel of the car when her best friend was killed in an accident. My stepfather and I had a troubled relationship at times, and there were SO many things of my moms that I would have so much liked to have had. Things that had no meaning to anyone else probably. She had a tiny diamond cross necklace that she always wore that I wanted SO badly. My stepfather had it cremated along with her. Sound familiar? And then there were the ghosts that spoke to both Abby and Jo Marie. While I've never actually heard voices, when I married my husband I very clearly could feel a hand on my shoulder, and I smelled Chanel No. 5 which was my mom's signature perfume. She was there with me. y creo que le doy demasiado. Me han interesado de poco a nada las tres historias que me cuenta, me han parecido de lo más superficiales y anodinas. De novela romántica para mi no tiene nada. Me interesaba más que nada la historia de la dueña del hostal con Mark pero en este libro sólo la esboza muy escasamente, con lo que me tengo que fustigar y leerme el segundo de la serie para ver si pasa algo o es tan poco interesante como este. This was the first book I’ve ever read by Debbie Macomber. She was recommended to me, saying I would like her style and I absolutely did! Debbie’s style of writing is real-life, relatable, and very similar to a Nicholas Sparks type of story. The Inn at Rose Harbor is book one of the series and I look forward to reading more of this series. The characters in this story were all relatable and so real to me. I felt the emotions and struggles of each one, and I love that about characters, when you’re r This was the first book I’ve ever read by Debbie Macomber. She was recommended to me, saying I would like her style and I absolutely did! The characters in this story were all relatable and so real to me. I felt the emotions and struggles of each one, and I love that about characters, when you’re right there with them in life and you can understand them. Love this book just for the knitting mentioned and how I can totally relate to having more than 3 projects going at one time. Jo Marie had relocated to run the existing B&B after her husband Paul passes away in the war. The book follows her life and interactions with other local people and protectors. Josh Weaver is a guest at the inn and is in town for just a few short days to reclaim things his step dad has kept at the family house. He is on his deathbed and a nearby neighbor has watched out for him for months. He just wants his letterman jacket and his mom's bible. Abby Kincaid is back in town after leaving when her girlfriend dies in a car crash that she was the driver. Her brother is getting married and her parents and aunts and uncles will also be at the wedding. She has a few chores, left undone to complete. Seems as if Jo Marie will return for more guests. It's a house that leaves one in peace, all that cross its door. Look visiting again with just a few locals-a little at a time so as not to be become confused. It's at a nice easy pace but moves along. Super easy read and very much a feel good kind of book. I accidentally read this one, as the cover resembled one on my TBR shelf. I decided to keep going with it once I realized my error and had an enjoyable afternoon wrapped in the story. The story takes place in Cedar Cove, Washington where JoMarie Rose has just purchased a B&B. Still grieving for her husband who was killed in Afganistan, she is ready for the next challenge in her life. The story revolves around her settling in (and I antic Super easy read and very much a feel good kind of book. I accidentally read this one, as the cover resembled one on my TBR shelf. I decided to keep going with it once I realized my error and had an enjoyable afternoon wrapped in the story. The story takes place in Cedar Cove, Washington where JoMarie Rose has just purchased a B&B. Still grieving for her husband who was killed in Afganistan, she is ready for the next challenge in her life. The story revolves around her settling in (and I anticipate will continue into multiple books with her), as well as the storylines of her guests. The guests include Abby, who is filled with grief over being the driver in a car accident that took her best friend 15 years ago, and Josh, who comes at the end of his ailing stepfather who has always been harsh with him. Both stories are engaging as both of them come to face the issue that is truly in play in their lives. Nije loša knjižica. Prati mladu ženu čiji muž je nestao u Afganistanu i ona se seli, kupuje mali pansion koji iznajmljuje raznolikim ljudima. U isto vrijeme pokušava zacijeliti sebe i pomaže gostima da isto riješe neke svoje probleme. S njom upoznajemo raznoliku paletu likova iz malog gradića. Warm cozy read that I fell in love with right away, I haven't read this author before and now asking myself what took me so long? I felt the characters were so real and felt I was living through the struggles, I have the second book and ready to start right away! Beautiful book that I will admit I wasn't going to read until the announcement that it would take place in Cedar Cove. I fell in love with Cedar Cove and relished the opportunity to return. I'm SO glad I did. Jo Marie is on this beautiful, spiritual journey of healing and self-discovery. And she, and her Inn, are going to help others along the way. In this book we get the stories of two people who both vowed never to return to Cedar Cove after horrible circumstances chased them away. The first i Beautiful book that I will admit I wasn't going to read until the announcement that it would take place in Cedar Cove. I fell in love with Cedar Cove and relished the opportunity to return. I'm SO glad I did. Jo Marie is on this beautiful, spiritual journey of healing and self-discovery. And she, and her Inn, are going to help others along the way. In this book we get the stories of two people who both vowed never to return to Cedar Cove after horrible circumstances chased them away. The first is Josh Weaver, who has returned to set up hospice for his dying step-father, Richard. Josh is the only family Richard has left after Josh's mother dies of cancer and Richard's son dies in an accident. Richard and Josh were at odds before Richard kicked Josh out of the house just shy of Josh's high school graduation. Now Josh is back to claim items of his and his mothers. But while there, his old neighbor Michelle helps him deal with Richard in some unexpected ways. Abby left town after a car accident, in which she was driving, left her best friend dead. Abby has spent years assuming everyone in Cedar Cove held her responsible and hated her for Angela's death. Abby moved away and has lived a life full of guilt, shame, and self-hatred. When her brother's wedding brings her back to town she discovers that others are full of forgiveness and understanding- she's just not sure if she is. Two other characters join Jo Marie on her journey- Mark and Rover, both of whom seem to be sent to her for unexplained reasons. Time will tell. Carinhoso é como posso definir este livro. Todo ele é ternurento, todo ele cura ao longo das suas poucas páginas os corações, tanto das personagens fictícias como das pessoas reais que nele pegam. Um acontecimento terrível que muda a vida de Jo Marie Rose para sempre e, quem diria que, ao mudá-la, Jo, curando-se a si própria ainda vai curar outras duas pessoas. . .
Um romance que é claramente para o público feminino, consegue fazer o que se espera. Colocar as leitoras a suspirar. Adorei a forma com Carinhoso é como posso definir este livro. Todo ele é ternurento, todo ele cura ao longo das suas poucas páginas os corações, tanto das personagens fictícias como das pessoas reais que nele pegam. Adorei a forma como as histórias de ambos os personagens, quer marculino, quer feminino se desenrolam e desabrocham. Houve alturas em que fiquei a pensar que não iriam ter um desfecho que gostasse mas depois. . .
Este é um livro de 4,5* estrelinhas na verdade. É quase um favorito, não leva as minhas 5* porque, para mim, e é mesmo, opinião pessoal, PARA MIM, o fim devia ser de outra maneira. . . Estava à espera de outra coisa tendo em conta todo o desenrolar da história e das pessoas que nela entram. É outro livro em que adoro tanto as personagens principais como as secundárias. Há um momento super emotivo para mim, quando a personagem feminina se quer reconciliar com o seu passado. . .
Um livro que recomendo dentro do género, para quem gosta. Esta foi a minha estreia com a autora, e fiquei rendida: adoro Debbie Macomber! Neste romance, vamos acompanhar a história da protagonista, Jo Marie, que enviuva precocemente e por isso decide mudar radicalmente de vida tornando-se proprietária de uma estalagem, e de dois dos seus hóspedes, sendo que cada capítulo vai narrando a história de cada um, alternadamente. Isto vai contribuir para uma leitura compulsiva, pois cada capítulo encerra de uma forma perspicaz, que nos faz desejar saber o que v Esta foi a minha estreia com a autora, e fiquei rendida: adoro Debbie Macomber! Neste romance, vamos acompanhar a história da protagonista, Jo Marie, que enviuva precocemente e por isso decide mudar radicalmente de vida tornando-se proprietária de uma estalagem, e de dois dos seus hóspedes, sendo que cada capítulo vai narrando a história de cada um, alternadamente. Isto vai contribuir para uma leitura compulsiva, pois cada capítulo encerra de uma forma perspicaz, que nos faz desejar saber o que vai acontecer a seguir, não só com a personagem principal, mas também com os outros dois. I really enjoyed this book. It was sweet, fun and well written. I like the mystery of some things (the handyman) and the knowing of others (Paul). I delved into each one of the character's story wholeheartedly. It was so easy to follow. I read the descriptions on the next book and it is a continuation with the handyman mystery and new stories of the new guests. This book is a stand-alone story. Debbie Macomber is a #1 New York Times bestselling author and one of today’s most popular writers with more than 200 million copies of her books in print worldwide. In her novels, Macomber brings to life compelling relationships that embrace family and enduring friendships, uplifting her readers with stories of connection and hope. Macomber’s novels have spent over 1,000 weeks on the New York Time Debbie Macomber is a #1 New York Times bestselling author and one of today’s most popular writers with more than 200 million copies of her books in print worldwide. In her novels, Macomber brings to life compelling relationships that embrace family and enduring friendships, uplifting her readers with stories of connection and hope. Macomber’s novels have spent over 1,000 weeks on the New York Times bestseller list. Thirteen of these novels hit the number one spot. In 2019, Macomber’s all-new hardcover publications include Window on the Bay (July) and A Mrs. Miracle Christmas (October). Macomber is also releasing a new journal titled Be a Blessing: A Journal for Cultivating Kindness, Joy, and Inspiration (April). In addition to fiction, Macomber has also published three bestselling cookbooks, most recently Debbie Macomber's Table in 2018, an adult coloring book, numerous inspirational and nonfiction works, and two acclaimed children’s books.